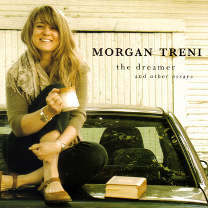 George Graham Reviews Morgan's "The Dreamer and Other Essays"
Sonically, we'll give Dreamer and Other Essays a rare grade "A." The sound is clean. Ms. Tenri's vocal has a warm inviting sound, and the acoustic instruments are treated well. The dynamic range, while not at an audiophile level, is still better than today's typically heavily compressed records make everything loud all the time.